Labor Day and Final Family Getaway! Megan Gates is an active blogger who provides written work to the blogosphere pertaining to Long Island Rentals, Hamptons Real Estate, home improvement and the latest architecture, design and fashion. Follow her on twitter @MEGatesDesign. With Labor Day and the start of a new school year around the corner, families may be looking for one last summer getaway before the season changes. If you are an owner of a rental summer home, then keeping your home up to date with the latest design trends will keep people renting your property year after year. Whether you’re near the ocean, a lake or a hot spot in the city, these tips can transcend through any property. When people vacation with friends or family, they don’t want to have the usual struggle for space that they do at home. Keeping the amenities in your rental property feeling luxurious is the key to having people truly enjoy renting your space. If your house has an open concept, then you are a step ahead in keeping with the latest trends. An open concept floor plan allows for people to do what vacation is intended for, spending time together with their family and friends. Some people may not prefer an open concept floor plan because they may not feel it is private enough. However, a closed concept floor plan can make a property feel smaller than it actually is. Having a rental property with a lot of bedrooms and bathrooms is ideal for allowing guests to have a lot of their loved ones getaway with them. People like to feel pampered when they are on vacation so bringing a very luxurious feel into those important spaces is significant. The new trends of bathrooms are big and lavish. Making your bathrooms feel like a spa, even if it is a small bathroom, is paramount. Another new trend is outdoor living space. Instead of seeing a backyard as a space to simply maintain, think of it as an extension of your house and a place to add useful square footage. People love to see outdoor kitchens, living rooms and garden rooms. This adds another space to entertain, say for a Labor Day BBQ, and spend time together. Lastly, work with what you have when it comes to interior design. Look for inspiration in the area where your property is. There is no need to give a house on the shore a mountain cabin theme. Make your beach house look like a beach house and your place in the city an ultra-modern urban feel. With these design tips, and any more that you want to share, your summer rental property will be a hit for renters to finish the summer out with. This entry was posted in Home improvement and tagged family, family giveaway, labor day, outdoor, summer on August 30, 2011 by Yami. 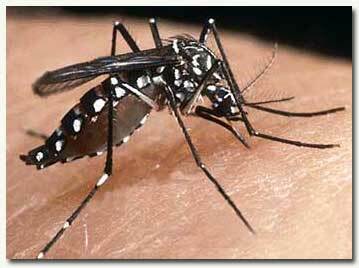 DENGUE HEMORRHAGIC FEVER is an acute infectious disease manifested initially with fever. Aedes aegypti, the transmitter of the disease, is a day-biting mosquito which lays eggs in clear and stagnant water found in flower vases, cans, rain barrels, old rubber tires, etc. The adult mosquitoes rest in dark places of the house. Sudden onset of high fever which may last 2 to 7 days. Joint & muscle pain and pain behind the eyes. Cover water drums and water pails at all times to prevent mosquitoes from breeding. A vaccine said to prevent or cure the four strains of dengue is currently being tested in pilot areas in Laguna and Cebu. The vaccine will be available in 2014. This entry was posted in Diseases, Health Advisory and tagged cure for dengue, dengue advisory, dengue fever, dengue hemorrhagic fever, dengue vaccine, department of health, DOH, health, prevent dengue, vaccine available dengue, what is dengue on August 22, 2011 by Yami. I can no longer count with the fingers on my hand the number of times when people have ever so tactlessly teased me about the dark circles under my eyes. I guess I have to give credit to those who have been slightly subtler with their badgering. Some have even made references to a raccoon- no offense to that kind animal, by the way. A few have joked about me being a part of a football team or a group of camouflaged army trainers, what with smearing my under-eyes with black paint. I have been racking my brains out as to the cause of these dark under-eye circles. First thing that comes to mind is lack of sleep. So, for days on end, I have diligently counted sheep and slept a full eight hours, but still I find these annoying dark circles under my eyes. The eyes, they say, are the windows to the soul. And a dark under-eye area is the backdoor to a world of misery and gloom. The eyes are still the first thing people notice, so I’d give my left arm just to get my hands on an effective dark circle remover soon. Otherwise, I swear I’m going to go berserk! Eyes with nary a trace of dark circles scream youth and beauty. That’s something I want to achieve, of course. I am not giving up. I will search high and low for a serum of some sort which could erase these annoying dark circles under my eyes. I feel the heavens have been smiling down on me as I have stumbled upon this website http://www.beautedeparis.fr/product/evaporte.html with a promising product. If you happen to have the same problem as mine, you might want to check it out too. This entry was posted in Beauty and well-being and tagged dark circle remover, dark circle under eye, eyebag on August 17, 2011 by Yami.